Chimps have taken over the city! Click here to play! They’re going crazy and we need your help to save the city. Spin these reels to capture the gang of chimps and bring order to the city for a big paycheck. The main monkey is the Mighty Chimp. He’s the big boss, so you’ll want to spin this great ape as much as possible. He only appears on selected reels but acts as a wild symbol and will help you accumulate more wins. He also doubles all prizes when he appears in a winning combination. Keep an eye out for citizens in need of help, particularly the helpless blond beauty. If you can spin one to five of these ladies on an active pay line you could win up to 2500 times your line bet. Two to five cityscapes will also payout big, with five of them getting you 1000 times your line bet. There are also sunglasses and banana splits. Each brings in up to 500 times your line bet if you spin two to five of them. Watch out for the Might Chimp’s bananas. This yellow fruit acts as a scatter. Not only will it multiply your total bet, but it will trigger a bonus feature that will see you winning even more cash prizes. See if you can conquer the Mighty Chimp for a chance to save the city and bring in plenty of big wins! There are two different wild symbols in this game: Mighty Monkey and the bananas. The Mighty Monkey only appears on reels 1, 2, 4, and 5. The bananas only appear on reel 3. Both will substitute for all other symbols (except one another) to help you bring in more wins. A free game bonus feature is triggered when you spin the Mighty Monkey and the banana symbols on the reels at the same time. You'll get 10 free spins in which prizes are doubled. Cryptologic slots give you the option of any number of auto play spins up to and including 99. It provides a delay between each spin between 0.25 and 2 seconds, giving you time to see exactly how much money you win each spin. 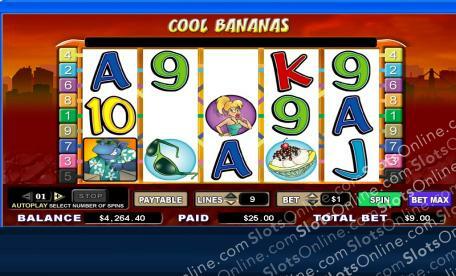 How to Play Online Slots. How to Choose a Casino. Use the search box below to search our website for any information you're seeking.